We ordered 200 cupcakes for our wedding, plus another 6 that were vegan and gluten free. The cupcakes were delicious and set up beautifully! Our guests loved them! Our vegan guests were especially happy to have a delicious option! We can’t express how happy we are with our wedding cake. The tasting was great, our idea and vision truly came to life. Our cake was delicious. After the wedding, my mom distributed the extra cupcakes to my work and her work and since then I have gotten SO MANY compliments on the cupcakes. I even had a coworker ask me where they were from because he is looking to order a birthday cake and loved the cakes you made. He was very bummed when I told him you are located in Milwaukee but I just wanted to pass along the love from Green Bay. Had a great experience meeting with Erica and choosing our cupcakes. We were very happy with our choice of vendor and loved that they offer vegan cupcakes. We chose three different flavors, one being vegan. They handled the delivery, set up and display, and were prompt to come clean up. The cupcakes were delicious! Highly recommend Classy Girl Cupcakes for your wedding! I’m so glad we went with Classy Girl Cupcakes for our October wedding! Erica, the owner, was a breeze to work with, super responsive, and it was really fun to come by the store to pick out the displays and taste a bunch of the cupcakes & mini cheesecakes. We went with a combination of flavors and styles and all our guests raved about the selection! I’m not a cake gal but I am a cupcake gal so we nixed the cake and went for a beautiful arrangement of cupcakes, decorated in our wedding colors and it was a major hit. No one missed the elaborate, tasteless, overpriced cake. These cupcakes were delicious, fun, easy to eat, and people could go up to the dessert table if they wanted a treat after dinner vs everyone getting a piece of cake plopped in front of them after their main. Thanks for making planning easy from across the country, for personalizing the experience, and for being the cherry on top of a wonderful night! I’m just dropping a line to say thank you! The cake and service you provided was phenomenal and frankly one of the easiest (and tastiest) part of our wedding planning. I appreciated your spirit during the process and many changes. You truely made us feel like our cake was your first and most important order. Thank you so much for all you did to make our wedding day sweet! The cake and cupcakes were wonderful and delicious! We got many compliments on the treats from our guests. With heartfelt thanks. We did cupcakes and a cake for the head table from Class Girl Cupcakes. The meeting at their Milwaukee location was very informative, and I felt they answered every question I had. Even though we only got a small cake for the 10 people at the head table, it was designed gorgeously. The intricate detail they put into the flowers and design on the cake was exquisite. Everything tasted absolutely amazing. My guests were arguing about who would be able to take the few left over cupcakes home! My husband and I had been to Classy Girl a couple of times before selecting them for our wedding cupcakes so we knew they’d be good. In addition to our favorites, Erica suggested the Cinnamon Pecan French Toast cupcakes to try. Though we would have never picked it out on our own it was delicious! So many of our guests commented on how surprising and amazing that one was. This crew knows what they’re doing and the cupcakes all were delicious! We had a great experience working with Classy Girl Cupcakes. We had four flavors of cupcakes and a 2 tiered cutting cake. The presentation was beautiful and of course it was all delicious! I recommend using classy girl cupcakes for anyone planning a wedding. I had never been to the bakery but when we got there Erica, the owner, greeted us and ask us to pick out some cupcakes to try all of which were amazing. She walked us through our options since we didn’t know what we wanted. She didn’t pressure us to decide that day and gave us plenty of ideas. She was also quick to respond to any questions we had via email. We ended up with some delicious cheesecake cupcakes, chocolate-peanut butter, and white chocolate raspberry both were a big hit. I will definitely be planning on going there again soon! I wanted to reach out to you to thank you for the amazing job you did on the cheesecakes for the wedding! It was absolutely delicious! We ordered more than we needed and there were literally no leftovers. Everyone was ranting and raving about them! The set up was absolutely beautiful, too! I just wanted to send a note to thank you for the wonderful groom’s cake you made for the Goeke-Bennett wedding on May 26. It featured a camping/fishing/beer theme and was a big hit. Also, delicious! Thanks for the creativity and help with the plans. I don’t live in the Milwaukee area, but I would recommend your business to others, for sure! My new husband, Sam, and I would like to thank you so much for the amazing cake and cupcakes for our wedding on April 28th! Everything was absolutely perfect! Every single guest was blown away by how amazing the cupcakes were. My father said he especially loved the smaller cake (the one Sam and I cut). He said that he didn’t know wedding cakes could taste that amazing! 🙂 Everyone else who had some of the smaller cake said the same thing. The display was so beautiful as well! We couldn’t have made it look any better. You and your team are truly amazing. You have been incredibly helpful every step of the way and I appreciate that immensely! Thank you so much again for helping make our special day even more special! This place is no other word then AMAZING!! They did our wedding cake last October and it turned out beautiful and tasted so good. If you have a sweet tooth you can always stop in and they have a variety of flavors of cupcakes that are also delicious. You cant go wrong!! Your cupcakes were so, so, so GOOD! I’m addicted. You got so many compliments from the guests at my wedding. The advice you gave me in choosing what I needed was spot-on and the display was just what we talked about. I loved it! Loved all the cupcakes we tried…Very helpful and informative on helping us choose our wedding cake. Thank you Morgan! I was at a wedding celebration this past Saturday and had the opportunity to try some of the cupcakes and I couldn’t help but eat three at one time and they were amazing! Class Girl Cupcakes made the cupcakes and groom’s cake for our wedding, and they were delicious! They are friendly and helpful, and they really go above and beyond in their customer service. The cupcakes are all delicious. My only problem was that there were not as many left over as I was hoping! Everyone loved the cupcakes we had from Classy Girl at our wedding! Even months later, people still comment on how delicious they are. I have celiac disease, and their gluten-free cake was amazing, as well! We had a red velvet, gluten-free small cake for my husband and I, and it was out of this world. The non-gluten-free cupcakes we had looked so beautiful, and matched our colors. The display we rented matched the vintage feel of our wedding, as well. Everything was perfect! Ordered Classy Girl Cupcakes for our wedding and our guests enjoyed them as much as we do! Morgan helped us narrow down flavors, gave us ideas for displays, and went over our contract with us so we understood everything that would happen on the big day. It went smoothly and was perfect! Try the vanilla salted caramel cupcake, you’ll love it! Hands down the best bakery & cupcakes. We had Classy Girl Cupcakes for our wedding and haven’t stopped recommending them for others. Erica is amazing to work with and the staff rocks. We had Classy Girl Cupcakes for our wedding, and I was extremely happy with the outcome. Everything was setup on time without input from us, the cake and cupcakes were exactly what we had wanted, and the whole process was just hassle-free. They were a huge hit at the wedding and multiple people commented on how tasty they were. I have to admit, I’m not too into sweets, but I couldn’t stop eating them! Definitely recommend them. Service and quality are top notch. Classy Girl made our wedding cupcakes and they were amazing! Their cupcakes were delicious, and we received countless compliments on them. We had an additional order of gluten free cupcakes that were also excellent. The owner and staff were easy to work with and they responded promptly with any questions we had. We highly recommend them! Thank you so much for your attention to detail for our cupcakes and cutting cake for our wedding day. We are so happy you could be a part of it! We had no leftovers, so I guess you could say everyone LOVED them! I just wanted to reach out and say THANK YOU for the fantastic cupcakes on our wedding day. The whole day was magical and people couldn’t stop talking about how delicious the cupcakes were. The cake worked out perfectly as well. It’s so crazy that the day has come and gone – it felt weird not to reach out again to say thank you, everything was great, and I will be sure to recommend Classy Girl Cupcakes to friends and family. Classy Girl Cupcakes recently provided cupcakes and a cutting cake for our wedding. We got SO many compliments on the cupcakes from our guests! Erica was easy to work with– she provided professional knowledge and guidance in making decisions that I had no idea about. She was pleasant and responsive in our communications. My husband and I are now working on our cutting cake, and it’s delicious! The cupcakes and the design were awesome. We did pumpkin, chocolate, and vanilla, and they were a hit. The taste was sooo good, and they were very beautifully designed. Really great group to work with. Highly recommend. Classy Girl Cupcakes did an incredible job with our wedding cake and cupcakes. The prices were very reasonable and we opted to rent their displays and have them drop off and pick up! It made everything so easy and we got so many compliments on the cupcakes! I just wanted to thank you for doing such a great job with our cupcakes for the wedding. They tasted great, they looked great, and the set-up was perfect! Thanks again! Amazing all around! Erica was so nice and really went out of her way to make sure everything was perfect for our wedding day! We had so many compliments on our cupcakes and wedding cake. Not only were the cake and cupcakes beautiful but they were DELICIOUS as well! Could not be more pleased with Classy Girl – they really do a great job! We got multiple recommendations to use Classy Girl Cupcakes for our wedding and they did not disappoint!!! The most difficult part was deciding which flavors to choose after our tasting. We ultimately chose chocolate, vanilla, strawberry champagne, and carrot cake. We also had Classy Girl make use a small cutting cake for us. Our guests raved about the cupcakes. In the end we’d definitely recommend having Classy Girl for your wedding or event. I cannot say enough about Classy Girl! I got married this past Friday on 9/23/16 and we ordered vanilla bean cupcakes buttercream frosting. Without a color swatch, I simply told them, “sunflower yellow” for our wedding cupcakes and hoped everything would turn out alright. The color was absolutely perfect and people complimented them all night. I think a lot of times, the dessert at a wedding is meant to be pretty, but no one really expects it to taste great. I was so happy to hear (and see posted on Facebook) people talking about how moist, rich, and delicious the cupcakes were! They were a star of the evening. After visiting multiple bakeries, Classy Girl couldn’t have impressed us more, both with their flavor options and general presentation. We were even more impressed once we started trying the desserts! They were so awesome with our questions before the wedding, and the set up for our wedding was seamless and beautiful. We received so many compliments on the desserts afterwards!!! If you are looking for unique and delicious cupcakes for your wedding, look no further. Classy Girl Cupcakes has an almost overwhelming variety of flavors to choose from (which is the perfect problem to have) and were incredibly easy to work from initial meeting to deciding on colors/design to delivery and set up at our wedding. The cupcakes were moist, packed with flavor, and stayed fresh for a few days after the event as well! Highly recommend these treats for your next wedding or as a sweet treat in downtown Milwaukee! Thank you Classy Girl for our wedding cupcakes and wedding cake! Everyone raved about how delicious everything was and we appreciate you taking the extra time to bring us vegan cupcakes! The display that they did was unlike anything I’ve seen. I have dietary restrictions and needed a gluten free and vegan cutting cake for our wedding. Erica was so helpful during our consultation and provided many flavor options that would work well with the GF/V needs, as it would generally affect the texture a lot. We ended up with a lemon cake with raspberry filling that was beyond amazing! Frosting was smooth and delicious and the cake was so moist. I’m anxious to get back from our honeymoon so I can sneak a slice from the freezer 🙂 We also got Ghirardelli chocolate and strawberry champagne cupcakes for our guests to enjoy. Many of our guests said they were they best cupcakes they’ve ever had! Setup was on time and done exactly how we had planned with our own cupcake display. They were wonderful to work with and have an amazing product! I will definitely recommend Classy Girl Cupcakes to my family and friends. We worked with Erica for our wedding day dessert table and included mini cupcakes in three delicious flavors, cake truffles, and chocolate covered strawberries. Everything was as beautiful as they were delicious. My guests couldn’t get enough. Some even brought a few home to enjoy after the party. I highly recommend Classy Girl Cupcakes, and will be returning in the future for other events. I’ve never heard people rave about wedding cake so much! My husband and I wanted a simple but pretty cake, so we chose The Annabelle style from Classy Girl, which was perfect for us. We went with a vanilla bean cake and chose to alternate the layers with chocolate and raspberry buttercream–it was a huge hit and everyone loved it. (We had a tier left over and had people asking us to bring them some more slices!) Classy Girl was awesome with helping us decide on how many tiers to make the cake and even altered our order a few months later when we changed our minds about the height with no problems or hoops to jump through. I had the highest confidence that everything was being taken care of by them and I didn’t have to worry about a thing. Wonderful experience! We had Classy Girl Cupcakes make a small cake for us, and the two flavors of cupcakes for guests. They were able to customize everything to our liking. The cake and cupcakes were delicious. Our guests enjoyed them and they stayed very well without drying out. We would highly recommend Classy Girl Cupcakes! Erica and her staff made a lovely wedding cake and delicious cupcakes for my daughters wedding. Everything was wonderful!! Everyone raved about the beautiful cupcake table and the tasty variety of flavors. Classy Girl Cupcakes was a joy to work with. We were having trouble finding a bakery until we found them on Thumbtack. They worked with us and were very flexible to all our needs. They helped us make decisions as to quantity and decorations to go with our theme. It could not have gone better. I would recommend them to anyone. Best cupcakes I’ve had. Thank you for all your help! Just wanted to extend a HUGE thank you for the cupcakes and wedding cake. They were absolutely delicious! Nobody believed they were gluten free. My friends are throwing me a baby shower in a few weeks and my only request was cupcakes from you. You’ve created a monster! I will most definitely recommend you to everyone. Thanks again! It was such a pleasure working with you on designing our wedding cake. We were amazed with how much the cake looked like the picture we gave you to work off of. Thank you for making our day so special! Just wanted to let you know that your cupcakes were a huge hit this weekend at my cousin’s wedding. Everyone loved them and I think my table alone consumed about a dozen of them!! We just had you guys do our wedding and it was FANTASTIC! We would like to use you for another event coming up!! I just wanted to say thank you for everything this past weekend. I have gotten SO many compliments on the cupcakes! In fact, one of our friends texted us on Monday morning letting us know that he had a dream about your cupcakes because they were so good! Everything went so smooth and I really appreciate it all! The woman who came and picked up the display even left and brought back boxes for us! Wow, was that above and beyond!! I wanted to thank you for the beautiful cupcakes and displays at our wedding this weekend. Everyone loved them. Also the 8”cake was beautiful we loved it. I will highly recommend you and your staff for any events. The wedding cake was DELICIOUS and they were willing to work with us on short notice!! To top it off, it was gorgeous and exactly what I wanted. Thank you! We would like to thank you and the staff at Classy Girl Cupcakes for your role in making our wedding a night- we or our families and friends- will never, ever forget. We held our wedding ceremony and reception at Silver Spring Country Club. We decided to check out Classy Girl Cupcakes after we received a handful of recommendations from friends, and we solidified our decision to hire Classy Girl Cupcakes after we tried a few samples and couldn’t stop thinking about them. We also were fortunate enough to attend a wedding reception just a month or so before our own and saw and tasted your handiwork; we were impressed and excited for our wedding reception. We could not have been happier with our cupcakes. The display was simple and elegant, and the cupcakes (peanut butter delight and orange dream) were delicious. We received numerous compliments about our fun tasty dessert. We appreciate your hard work so much, and we would highly recommend Classy Girl Cupcakes to anyone looking for delicious and beautiful cupcakes and excellent customer service, all for a reasonable price. Thank you once again for making our wedding a wonderful, memorable affair. Thanks for the wonderful cupcake display for our wedding! Your hard work is much appreciated as the cupcakes were delicious! We are so glad that our friend recommended you, as we could not be happier with our dessert decision. Best of wishes to the entire Classy Girl staff! Thank you for helping us make our wedding day perfect! The cupcakes were delicious and they looked beautiful. Everything was so fantastic! Thank you so much for providing our wedding cupcakes and cutting cake for our wedding. We got so many compliments on the taste, frosting decorations and overall display of everything. It was hard to envision what the cutting cake was going to look like, but you guys exceeded our expectations. Thank you for helping to make our wedding great! Everyone LOVED your cupcakes! We are so happy with our decision to go with cupcakes over a traditional cake. Every flavor was awesome. Plus, it was great to get to actually enjoy the cupcakes after the wedding too- the perfect honey moon treat! 🙂 It was truly a pleasure working with Classy Girl. We will be recommending Classy Girl to our friends. Thank you so much for making all of the cupcakes and the cutting cake for our wedding at the Schlitz Audubon Nature Center. They were a big hit! We can’t thank you guys enough for the wonderfully delicious cupcakes. Your cupcakes were not only great but were a beautiful addition to our special day. People are still talking about our green velvet cupcakes! Thank you all for your hard work! We really can’t thank you enough! We wanted to thank your staff so much for providing our cupcakes and cake at our wedding at the Villa Filomena. We received so many compliments on how beautifully it was presented and how amazing everything tasted. Thank you so so much! A big wonderful thank you to Classy Girl Cupcakes! The cupcakes not only looked amazing but tasted amazing as well. All of our guests loved the cupcakes. Everything was great, including the display. The setup was 100 times better than we ever could have imagined. Thank you again for everything! We are so pleased that you were able to be a special part of our wedding. Thank you for your ideas and flexibility in preparing our cupcakes and cutting cake. Everything from selection to final presentation went smoothly- not to mention the delicious treats for our guests. We love your business story and wish for all the best to you and your staff. Thanks! Your cupcakes were a huge hit! At one point, there was a crowd around the cupcake table! We can’t thank you enough for your baking talent 🙂 The displays looked awesome and we couldn’t be happier! Thank you!! We cannot thank you enough for coming to our rescue for our wedding! You were so accommodating, helpful, and professional. Everyone commented on how delicious the cupcakes were and the display looked great! 🙂 I can’t stress enough how much we appreciate everything you’ve done for us. Thank you, thank you, thank you! Thank you so much for creating such beautiful and delicious cupcakes for our wedding. Working with Classy Girl Cupcakes from beginning to end was a delight. We appreciate how responsive you were and how easy you made the whole process! Our guests gave great complements. We’re excited to eat our mini cake on our 1st anniversary, but will definitely be in before then! Thank you so much for making our wedding day a delicious success! The guests absolutely loved (and devoured) the cupcakes at their tables and our cutting cake was perfect! It was also wonderful to not have to worry about the set up and take down of all the cupcake stands. Thank you for making our day hassle- free! We just want to thank you for providing the delicious cupcakes for our wedding! The centerpieces looked amazing. We got many compliments and are more than satisfied. Thanks again! Thank you so much for providing the cupcakes for our wedding! They were amazing and we received so many compliments. The red velvet flew off the table! They were the perfect addition for our special day! Thank you so much for the amazing cupcakes for our wedding reception. The cupcakes and delivery service were amazing! Thank you to everyone at Classy Girl! Thank you so much for the gorgeous cupcake display and delicious mini cupcakes! They were so good- our guests kept asking where and who we went through 🙂 Thank you again! We can’t thank you enough, because you made it sweeter. Thank you for everything! I just wanted to say thank you for creating my birthday cake. It was exactly what I envisioned and the complements were rolling in all night regarding how beautiful it was and more importantly, how delicious it was. I appreciated the prompt delivery too. All was as promised. I will be sure to recommend your bakery whenever possible! Classy Girl did a phenomenal job with this cake. It looked so lovely, and we got lots of compliments. Thank you so much! I appreciate how easy it was to work with your bakery and your willingness to add the greens I dropped off. Hello – just wanted to send you a quick thank you!!!!!! I almost cried when I saw my cakes they were so perfect looking. I couldn’t wait to dig in! When we finally did dig in everyone raved that the cake was soooooo good! Even though the Caramel apple was the smash cake I think that may have been the favorite since my daughter was only interested in half the cake to smash! With my mom being vegan, myself being gluten free and my daughter being allergic to eggs and dairy I thought I would never find a cake everyone could enjoy! You guys are doing an amazing job!! We will be ordering again soon as my daughter has her first birthday photo shoot coming up and we need another smash cake! I will also be keeping you on speed dial for all our future cake needs!!!! Ps- no one even questioned if the cakes were “special” cakes due to dietary needs! Oh and my dad is a cake snob especially with frosting and I think he ate half a cake by himself!! As usual, we got lots of compliments in regards to how cute and delicious everything was. Thanks so much! You guys always do a fabulous job! I just wanted to say thank you for the cupcakes and cake for the bridal shower. Everything turned out beautifully and tasted even better than it looked! Thanks for helping to make the shower a success! Wanted something different for my sisters baby shower and took a chance on the Lavender Honey Cheesecakes – they were FANTASTIC! total crowd pleaser ~ you guys made me look awesome 🙂 will definitely come back again since i’m already craving another one 🙂 Thanks so much! I got sent some from a friend for my daughter’s first birthday, and they were amazing! Ordered cupcakes a few days ago on a whim to surprise my best friend at work. I had a bike messenger pick them up, and Classy Girl totally worked with me to help me decide what was best. Everyone loved the cupcakes and I loved the service I received over the phone! Thank you! Omg!!!! Hands down, Classy Girl Cupcakes is best!! I had them make a German chocolate cake for my husband’s birthday and it was a hit!!! The cake was phenomenal and I will definitely be a repeat customer! We had Classy Girl Cupcakes at my daughter’s birthday party. All the girls loved them, we had Grasshopper Mint and Confetti. Next time will only order the Grasshopper Mint as all the girls loved those most. Thank you Classy Girl!!! Buttercream all the way! (literally, I took a beautifully decorated buttercream cake as my “carry on” to Vegas for my sister’s bachelorette party) That’s when you know it’s worth it! The best cupcakes & cakes for any event! Morgan is so helpful & creative! Always a great experience! I went to a graduation party today and enjoyed the best cupcake I’ve ever had. Turns out they were from Classy Girl. I usually find bakery cupcakes to be cloyingly sweet. Not these. They were just perfect and the texture was amazing! We had them all and they are amazing. Standard cupcakes were far superior to “standard” and we also had the best Gluten Free and Vegan cupcakes ever!! Super moist and so flavorful!! 42 cupcakes lasted one hour! I placed an order for a Cinnamon cake and a dozen cupcakes all via email for a dear friend’s birthday. I was out of town and Morgan made the ordering easy and seamless. I got exactly what I wanted and more! The cakes were sooo moist and delicious! I will most definitely do business with Morgan and her team next year or anytime I’m in Milwaukee! I ordered cupcakes for my son’s birthday, and while attempting to pick them up only a couple hours before the party started, I ran into a marathon on Wisconsin Ave and literally couldn’t get to the shop. When I called, she told me if I could get within a few blocks she would walk them to me! I had my son with me so it would have been difficult for me to walk and get them myself, so this was a lifesaver!! Not to mention my son loved the planets decoration and they were delicious!! Hi! I just wanted to thank you guys for such great service and delicious cake! You guys made my sons birthday cake last week Saturday and it was perfect! Not only on the outside but on the inside. Everyone kept saying how good the cake was and asked where I got it from and of course told them how amazing you guys were. Hopefully this brings more customers your way. Keep up the good work. Until next time! Classy girl did absolutely amazing job on my sons birthday cake! Not only did the design and structure of the cake go beyond expectations but so did the texture and flavor of the cake! My son has severe food allergies and it’s hard to find quality vegan baked goods that don’t taste like dried up dirt! The cake is moist and so perfectly sweet! I’ve been ordering vegan cakes from CG for the last three years and will continue to come back year after year! Great work you guys!! Just wanted to say thank you for the delicious cakes we ordered recently! Not only did they taste great, but they were decorated fabulously as well! I cannot tell you the amount of compliments we have received on the cakes. They both exceeded my expectations and I was so pleased with how they came out. Thank you so much!! So happy. Waited till last minute and got the best service! Thank you so much from Washington state. Best bakery!!!! They made my grandson’s day by making the most delicious monster truck themed cake! They nicely modified their car themed cake to a monster truck theme. It featured El Torro Loco and Grave Digger monster trucks, his favorite. The cake was not only great tasting but beautifully decorated. The trucks and the background arena looked exactly like the picture I emailed. I also had to change the delivery time and place at the last minute and they were extremely pleasant, helpful and accommodating. Definitely 5 plus stars!! THANKYOU!! I meant to email sooner but I just wanted today THANK YOU!!!!! The cakes and cupcakes were so perfect and delicious!!!! The design was beautiful and exactly what I hoped for. I love how everything turned out and I appreciate all of your help! I’ll be in touch again next year if not before! Hi Erica – I was surprised with a surprise birthday party this weekend and my husband and mother in law ordered cupcakes from Classy Girl and they were amazing. I just wanted to say thank you for making vegan cupcakes that not only look amazing they TASTE amazing. Thanks again for being part of my surprise bday and other celebrations in our lives! The cupcake and cake was delicious. I will recommend Classy Girl Cupcakes to everyone. The party was awesome. Thank you for doing such a great job on my parents’ 50th anniversary cake. It was beautiful and everyone was complimenting it. I couldn’t have asked for anything more. The cake tasted good as well, it was a hit! OMG! Just have to tell how incredible the Vintage Dude cake was! Not only were the decorations a huge hit, but the cake was absolutely delicious! Not a crumb left! Thank you again for your excellent service and amazing product! I am now a customer for life! A huge thank you for your help in sharing my baby news with my traveling husband! It would have been impossible to wait for his trip home. He was so excited to learn of our baby boy and said that the push pops were delicious! Thank you very much for helping make my 60th birthday event a success. People loved the cake!! I hope all is going well for you. It’s great to have you in Milwaukee. We picked up a zoo animal themed cake and cupcakes for our daughter’s 1st birthday, which were so very cute and so well done! Thank you so much!! It was such a highlight of her birthday and a fun and special memory. Thanks so much for making such a great cake for her! Sherry, Steve & Britta H.
I ordered these for my coworkers … Best cupcakes I have ever had! Between the service I received from Erica, to the delivery and then to enjoying the cupcakes – Classy Girl Cupcakes exceeded my expectations! Thank you – looking forward to ordering from you again. Such a delicious treat – I let them choose the cupcakes and was not disappointed. Erica – I wanted to take a moment to thank you and Classy Girl Cupcakes for a wonderful treat for my company. There was not one left and many took 1 or 2 more than they should have! Every cupcake was delicious! We will definitely order from Classy Girl Cupcakes again. Erica was wonderful to work with. I like to do things online, so she was able to answer ALL of my very detailed questions in a timely manner. We placed our company order and looking forward to our cupcake delivery. Thank you Classy Girl Cupcakes for the amazing and delicious cupcakes for ASQ’s holiday party!! And for braving the icy conditions for delivery- much appreciated! Thanks again for always providing such fantastic service! I just wanted to send a huge thank you! The cupcakes were a giant hit at the Business Equality Luncheon! While we were setting up, a staff member from Potawatomi opened the box and audibly gasped, and when we asked what was wrong she said “Nothing! These cupcakes are beautiful!” A guest at the event tried a key lime cupcake and she said “meh, it’s ok.” Then she took another bite and said “I lied. Wow. This is fabulous.” THANK YOU THANK YOU THANK YOU! Just wanted to give you the positive feedback I received on the leopard print vegan cupcakes I had ordered for our group. We all absolutely loved them! They could not believe they were vegan and they were super cute and super delicious! I know you’ll get some new customers from this as they were all impressed and asked me where I got them. Thanks for doing such a great job! Wishing you continued success! Just wanted to let you know that the lion cupcakes for our anniversary luncheon were adorable and delicious – they got rave reviews! Thank you so much for being a part of our Art Milwaukee Jamboree. Over 1500 people attended the event and I know your cupcakes were a hit! We appreciate your time and donation! Thank you for again participating in Jolly Holly Folly, supporting the AIDS Resource Center of Wisconsin. ARCW and the guests enjoyed having Classy Girl Cupcakes there to share your red velvet and salted caramel cupcakes! Thank you very much for providing the wonderful mini cupcakes to the Emerald Evening event! They were delicious and everyone seemed to really enjoy them. We are very thankful for your involvement as it is the generosity and leadership from supporters like yourself that we are able to continue working to transform waste into resources! We look forward to a bright future and we hope you will continue to stand with us as we grow our deconstruction efforts to provide more job training opportunities in our community while diverting historic building materials from the landfills! The mini cupcakes I ordered for today were AMAZING!!! Thank you for your Excellent customer service. I will be ordering from you again very soon. I was just in yesterday to pick a lemon birthday cake I ordered for my friend I just had to take a moment to tell you that it was the most delicious cake I’ve had in my life!! I’m not a cake lover and do not care for frosting but that cake was outstanding. Everyone at the gathering raved about it! 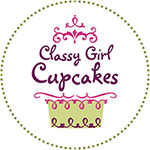 Classy Girl Cupcakes has a great variety of flavors that are all AMAZING! And have gluten free, vegan, and normal cupcakes. The staff is awesome! And the atmosphere is great!! They make the best cupcakes!! Moist and delicious! Really good cakes and cupcakes, excellent place for vegan options! Cake is super moist and frosting is decadent! Creamy yet not overly sweet! Amazing cupcakes! Service was awesome, cupcakes were delicious, and it was super affordable! My kiddos and I love this place. Can’t wait to visit again. Wish you were closer! The salted caramel cupcake is heaven on earth!!!!!! Classy Girl cupcakes are not only beautiful creations, but so delicious to eat! Highly recommend! Hands down best dessert catering in Southeast Wisconsin! Book for weddings, graduations, birthdays..you won’t be disappointed! Delicious! I had the peanut butter cupcake. It was so good and great peanut butter flavor…not too sweet and oh so goooooood! The employees are always so friendly and helpful. Plus, the cookies & cream cake parfait is to die for! These cupcakes are so good. The salted caramel is my favorite. The carrot one has a great texture and taste. I will definitely be buying more. Even the frosting is perfect. Not overly sweet and is so smooth. I bought some at an event. I bought two of the salted caramel cupcakes to share with my family. They were delicious and so moist. The frosting was perfect. I will be going back to try the other flavors! Classy Girl is my go to for every birthday or special event!! I’m not a big sweets person but I absolutely love their cupcakes. Thin mint and Reese’s cup are my favorite flavors. Plus the staff is super sweet! I’ve had Classy Girl Cupcakes provide desserts at all my major events: wedding shower, baby shower, even my wedding! Each time I’ve been extremely impressed with the time and effort put into the food to make it perfect! The food was delicious and the staff were very friendly and helpful. I plan to continue going there for every event I have in the future! Love Classy Girl Cupcakes. Not only have I used them for numerous events, but I’ve also visited both locations and they’ve never disappointed. The variety of choices is fabulous and the seasonal creations I’ve tried are to die for. Now that there are two locations, stopping in to satisfy my sweet tooth just got that much easier and convenient for me. I’d definitely recommend them! I get pupcakes from them every year and some human cakes too, always so delicious and my pup seems pretty pleased too! Great quality cupcakes. A good variety, 2 different sizes available. the small size is an appropriate for children. The store and the cupcakes are both visually appealing. I bought the large chocolate overload cupcake, and it was delicious. 5-stars. I wish they would open another store in Kenosha. My first experience with Classy Girl Cupcakes was an in store purchase. I was very satisfied with the service as well as the desert. Today I pre-ordered over the phone. Very satisfied with the service again. I’m convinced the cupcakes will be amazing! Can’t wait to pick them up! First of all, Sam, the manager is fantastic!! Professional, friendly, and totally customer-oriented. I’m a native of Milwaukee who, after high school & military service, respectively, have resided in Ohio 30 years (visit approx. every 5/yrs.) yet remain in love with home, i.e., Wisconsin. Today, I ordered a special gift for my beloved niece, and Sam helped seal the deal. The recipient will tell me the quality, but I trust now that it’s awesome. Glad I learned about Classy Girls Cupcakes. Chose you vs. Simma’s bakery. Located both on line. Elated that I chose you guys!!! Thank you. Classy Girl Cupcakes did a fantastic job recreating the top tier of my sister’s wedding cake from 30 years ago for me. They also made the groom’s cake for my niece’s new husband and it turned out fantastic. Not only did they look great, they tasted great as well! They exceeded every expectation I had! So pleased with everything. I initially called a location that was a little further than my delivery location so they were honest enough to tell me it’d be cheaper to order from the Downtown location. The woman gave me the phone number without me asking and was helpful with the process. The woman on the phone at the Downtown location was also helpful and very efficient. Will continue to order From Classy Girl Cupcakes. Thank you! There are not enough good things I can say about Classy Girl Cupcakes!!! We used them for our wedding in 2014 and since then have used them for pretty much every special occasion in our lives. The designs are always amazing, they are absolutely delicious, and the customer service is excellent. Family, friends, and coworkers always give compliments and ask where we got them from given both the taste and the design. Highly, highly recommend them! Always great to work with Classy Girl employees: super-friendly, accurate, and professional. Delivery service is greatly appreciated! Amazing business!! I have always received phenomenal service and was extremely happy that Classy Girl Cupcakes could accommodate a same day delivery for a special gift! Morgan and Erica are always awesome and as sweet as the cupcakes!!! Love love looooove this establishment! Ordered a wedding cake and was very a painless! Looking forward to eating our wedding cake! Classy Girl Cupcakes are the best! The owner and the people that work there provide a super customer service experience. I always recommend them. First time customer at Bastille Days. Loved them so much, brought a couple friends to your store as we were leaving the festival late – glad you stayed open. They each bought something and loved it too. Easy to order from long distance and very friendly/easy to work with staff. Classy Girl Cupcakes is certainly a classy establishment. From the fun decor to the delicious bakery, they are a perfect 10! We loved working with Erica and would definitely recommend Classy Girl to others! Great experience! Always a great experience. The cupcakes are to die for, the service is wonderful and always smiling, and the environment is clean, fun, and inviting. Thank you for being SO wonderful! Erica, the owner, was awesome in answering my questions and being so positive about doing a special logo on our cake. So happy to have found a super bakery! Ordering from out of town made me nervous but the picture she sent of your cupcakes makes me feel really glad I chose Classy Girl Cupcakes! Cupcakes were so pretty! Thank you ladies for making this such and easy transaction over the phone and email! You made Someone very happy today. -nice people -pleasant, fun atmosphere -aromas are enticing -my waistline is the only regret, but the mini-cupcakes help me with the guilt -love stopping by for a treat! I am hooked on the Vanilla Salted Caramel cupcake. I have friends who say they don’t like sweets , coming to your store since I had them try your cupcakes. Your bakery is delicious, keep up the good service. Super experience , daughter loved the birthday cupcakes! I can’t wait to try them myself, next time I’m in Milwaukee. I was in and out, the woman behind the counter was nice and helpful. The cupcakes were DELICIOUS! What a great place. Wonderful decor and cupcake selection. I love your cupcakes more than words can explain 🙂 I make a point to stop whenever I am near Milwaukee. Keep up the great work! As always, a first class experience. Keep it up. I placed a telephone order, out of state, so I couldn’t comment on the environment, but everything else via phone was great. Very helpful staff during a busy holiday week; thank you! I walked in and purchased 20 cupcakes for my office. The staff was so friendly and accommodating, and didn’t bat an eye about such a large walk-in order. All of the cupcakes were absolutely beautiful to top it off. 🙂 Thanks! A very pleasant experience. Plus delicious cupcakes!!! I called a day in advance and was able to put a delivery order in for the next day. The person I spoke with was very pleasant. The delivery happened exactly when they said it would and the cake was delicious! Thanks.